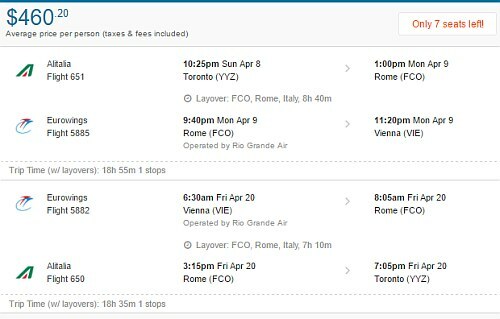 Alitalia is showing one unusually cheap flight from Toronto to Vienna, Austria in April 2018 for $460 CAD roundtrip including taxes. The flight has a long layover in Rome each way (7-9 hours). Just kind of a weird one, at roughly half the price of the typical cheapest flights. I've only seen one set of dates that works. Could be a mistake. Update: One person that tried to book these has said that FlightHub could not book this fare. - Since Flighthub couldn't actually book these last time, I have to assume it's the same situation this time, but you never know. 3. The flight will show up as a 'phone only fare'. If you click on Select, it will reveal the number to call (1-800-755-4580). 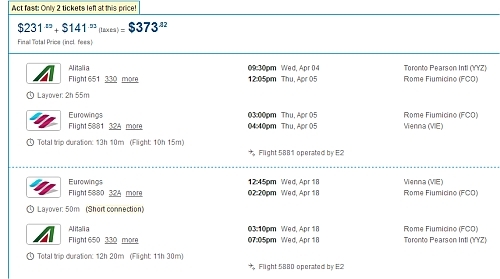 NOTE: CheapoAir.COM is also showing these for $371 USD roundtrip, which works out to $471 CAD roundtrip. Historically, CheapOAir has been good at being able to book fares that seemed to be a mistake. toronto, yyz, flight deals, europe, eastern europe, alitalia, vienna, austria and vie. 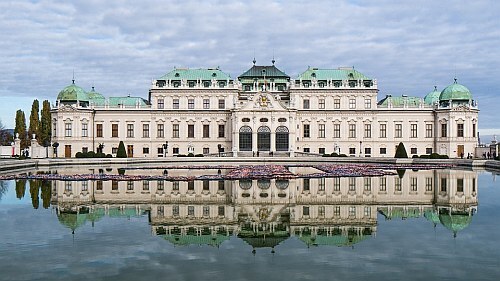 3 Responses to "** not bookable ** Toronto to Vienna, Austria - $431 to $481 CAD roundtrip including taxes"
Hi Sarah, thanks for letting me know, and sorry about that. No worries, was worth a try!